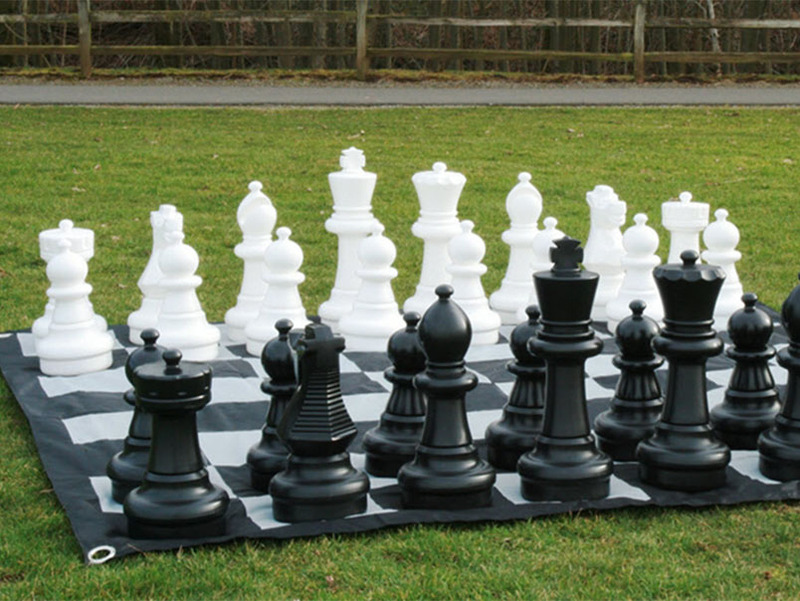 Our smaller chess pieces enable more rapid assembly and play. Perfect for the smaller garden or even a conservatory. The set comes complete with a 1.2m square playing mat. Pieces are in one section and stand between 20 and 25cm tall. Base diameter 9.5cm.�?��?�Packed in a white box with colour label and carry handle.